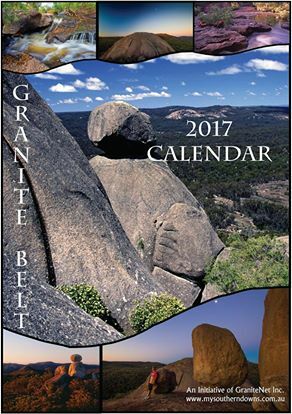 Homefpnews GraniteNet Start your 2017 with a full color glossy photo wall Calendar! Start your 2017 the right way with a full color glossy photo wall Calendar! At just $15.00, you can have peace of mind knowing that you are helping to keep a valuable community resource affordable. Available from the Tourist Information Centre and various retail outlets in Stanthorpe. OR contact us directly with your order and we will mail it to you. GraniteNet Inc. operates out of Stanthorpe, and acts as Stanthorpe’s technology hub. We offer affordable refurbished computers & electronics, computer repairs, technology help and training, and we get members of the community involved, as we are 100% volunteer run, without government funding.